People had looked forward to Michael Bay’s latest Transformers 4 movie, titled “Transformers – Age of Extinction”. This is because the fan-favourites, Dinobots, were supposed to be featured in the movie. After the movie was released, fans lamented the movie’s Dinobots’ lacked resemblance to the Generation One dinobots. They were also disappointed at how the movie introduced Grimlock, the leader of the Dinobots. 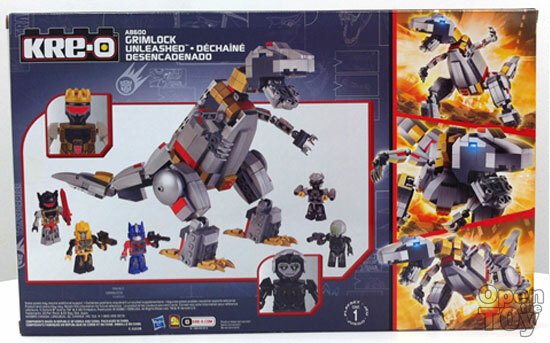 Hasbro heard the feedback from fans and released this KRE-O building set “Grimlock Unleashed”. In my opinion, this set paid homage to the Generation One Grimlock which fans had loved. This building set is special because we now have a Generation One Grimlock in building block form. 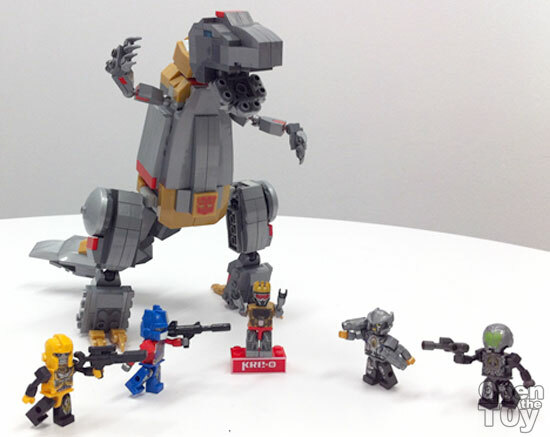 This set comes with five KRE-Ons (KRE-O minifigures) which includes an exclusive Grimlock in robot model KRE-On. Grimlock is so special that he gets to see out of the box! 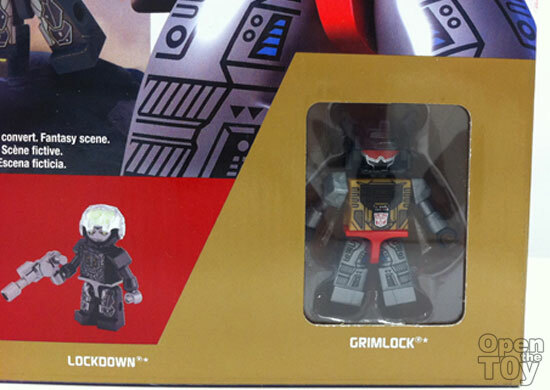 The back of the box shows the boxart of more Grimlock and displays all the contents when fully built. In the box, we have packets of the bricks and one instruction manual. 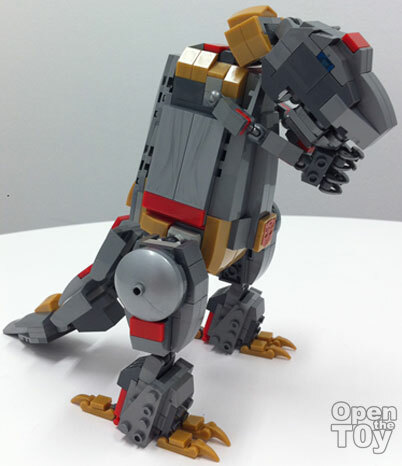 KRE-O has done a good job to recreate Grimlock in Dinobot mode. The colour looks accurate enough. The toy comes with an Autobot emblem which can be attached on the stomach of the toy. This is the infamous Grimlock “angry pose”. 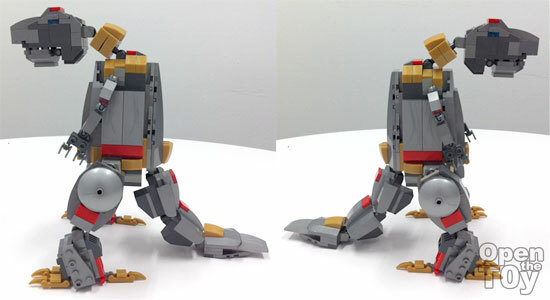 This toy uses many rubberized ball joints to connect the limbs, head, neck and tail. The ball joint is firm with friction when new. However, I assume over time time, the rubberized surface could degrade and will not work as well. 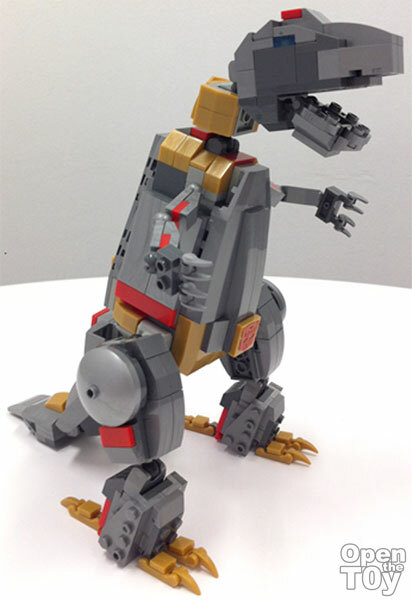 This is a Happy Grimlock, who emulates a Barney hug pose. This is Grimlock when he is doing his own reflection. 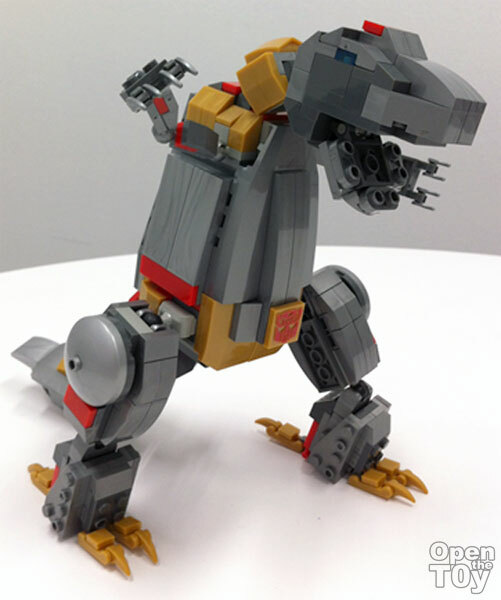 Grimlock transforms into robot mode! You can see from this size comparison how big this Grimlock toy actually is. 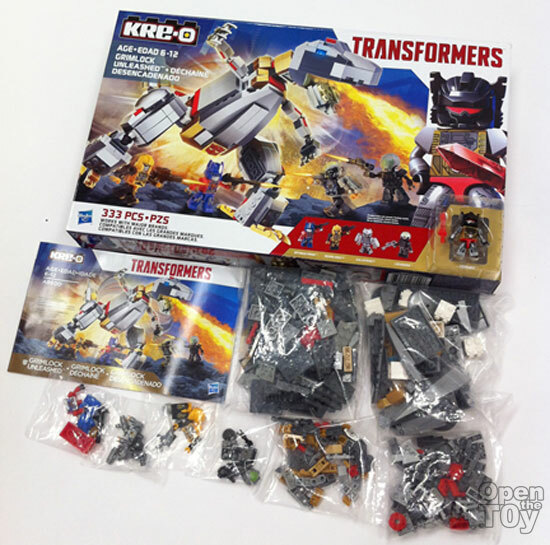 Here we have the KRE-Ons included in this set. From left to right, we have Grimlock, Lockdown, Optimus Prime, Galvatron and Bumblebee. This is another picture of the KRE-Ons without their accessories. 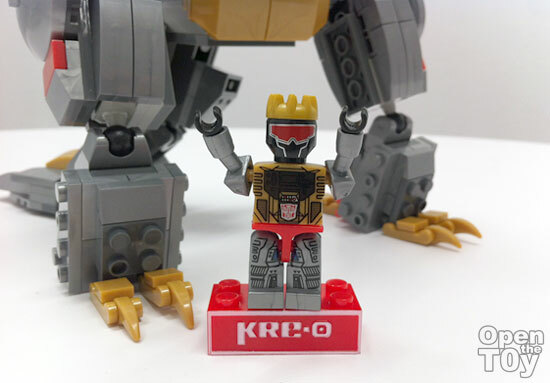 Each KRE-ON has prints only on front side of the body. To conclude, the war between Autobots and the Decepticons continues to rage on. Where there is Evil, the forces of Good will be there to stop them. 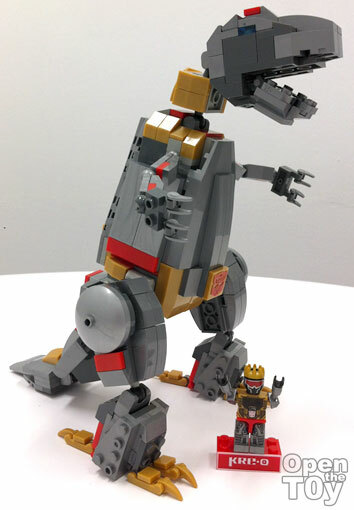 This KRE-O TRANSFORMERS Grimlock Unleashed is a very good building toy set which pays homage to the Generation One Grimlock. 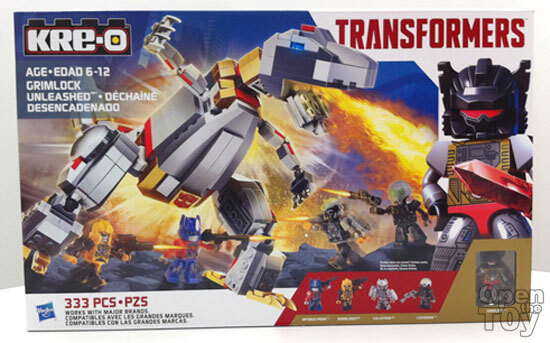 Also, the set comes with exclusive KRE-ONs of Grimlock and Optimus Prime in Generation One print. 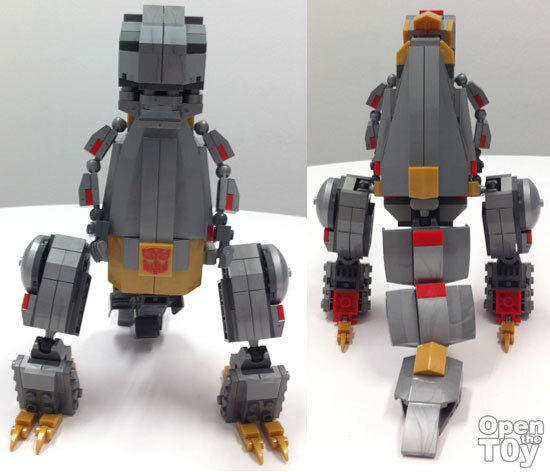 If you wish to only buy one KRE-O TRANSFORMERS set, you must buy this KRE-O Grimlock Unleashed building toy set for your collection.